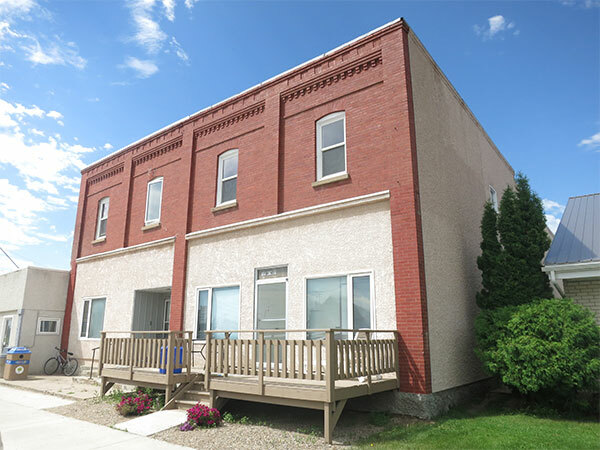 This two-storey brick building in Reston, in the Rural Municipality of Pipestone, was built in 1916 for hardware merchant William Albert Brady (1860-1930), after a disastrous fire destroyed many of the buildings on the block. The structure was used by a succession of hardware merchants until the last of them closed in 1968. The building stood empty for a few years, was used intermittently, then opened as a clothing store. It has since been renovated into residential space.